The South Side is open for business. In the past three months, three new restaurants have hit New Street in South Bethlehem. Sagra Beans, located at 306 S. New St., opened on Nov. 25. The hip coffee shop, which has another location in Hellertown, boasts a modern environment for students and residents alike. Owned by Robyn Cavallaro, Sagra Beans offers roasted coffee, sandwiches and salads. Lehigh students can pay with GoldPLUS. “We’re really happy with the local community, and we get a lot of support from within the building,” Cavallaro said. On Feb. 6, Sagra Beans hosted its first weekly singer-songwriter performance as a means of attracting customers. 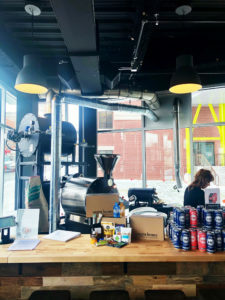 With many other coffee shops in the area, Cavallaro said she believes there’s plenty of room for them to create a space in the market of their own. 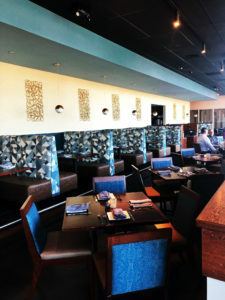 While students were away over winter break, co-owners John Trapani and John Pukanecz opened Zest Bar+Grille on Jan. 2. This new American restaurant is located on the rooftop floor of the recently-built Gateway at Greenway Park at 306 S. New St.
Greer Dalpe, the general manager, said Zest has been busy on the weekends and has been booking up to two weeks in advance. The restaurant features rooms for private events and is opened for lunch and dinner. It has plans to open an outdoor seating area when the temperature is higher. “We’ve had some local restaurateurs join us, and we’re trying to get involved in the community as much as we can,” Dalpe said. Dennis Benner, owner of Gateway, approached Trapani and Pukanecz and asked if they would want to open a new restaurant in Gateway. Trapani’s son Anthony Trapani, ’17, is a Lehigh graduate and a manager at Zest. He plans to work as a liaison between the university and Zest. Trapani and Pukanecz have also owned Grille 3501 in Allentown for 18 years. The ramen restaurant in Bethlehem is co-owned by father-son duo Marco Lu and Bryan Lu, ’22. 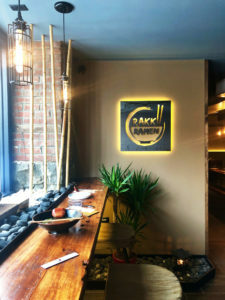 While students were busy with finals, Bryan was busy hosting and managing the staff when Rakkii Ramen opened its doors on Dec. 14, 2018. Bryan was originally responsible for hiring and managing the staff, but right before the restaurant opened, he became service managing position. “I came to Lehigh because we wanted to open a restaurant,” Bryan said. While the Lus both said there are things that need to be improved, customers formed a line leading into the restaurant around the block on its opening day. When students returned to Lehigh in January, Bryan said sales increased by about 25 percent. Marco studied cooking in Japan and hopes he and his son can open more Japanese cuisine restaurants in the Lehigh Valley.